10in x 12in .025 metal with four 1/8in mounting holes and 1/4in rounded corners. Sign illustrates how a Navy Aircraft Carrier goes by rail. 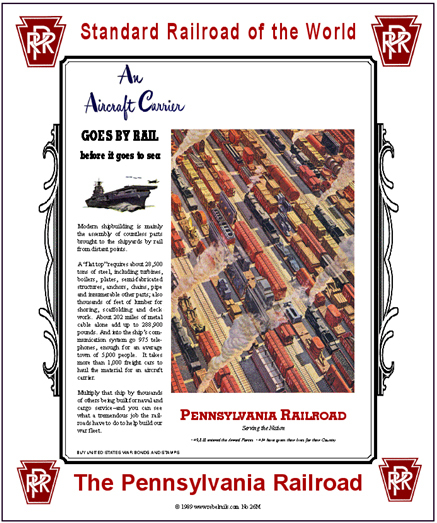 A nostalgic WWII railroad ad when all of America's Railroads were on a war footing during World War II. Click on above image for zoom.